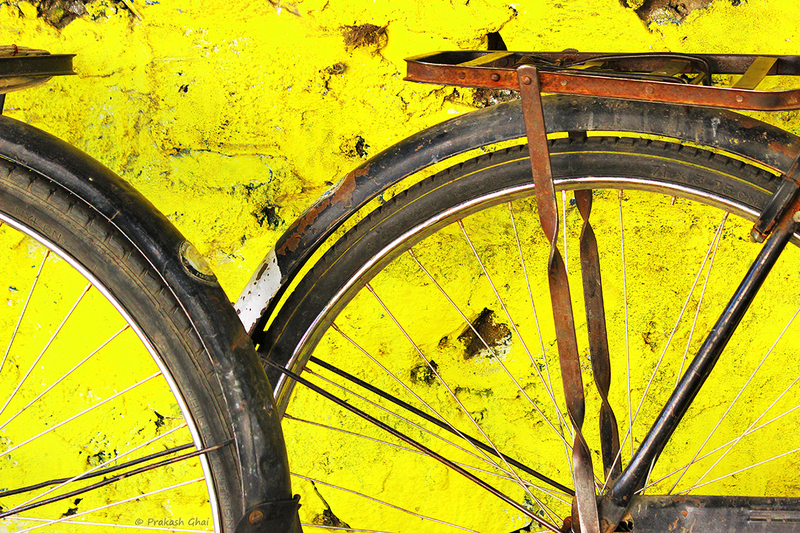 To compose, I clipped both the bicycles, to create the interesting Parts of the Whole Minimalism mystery that instantly spurs up viewer's imagination. I had to increase the ISO quite a bit as this was shot late evening. There are a few grains here but when you do fine art, they are all but OK. The intention here is to show the Arcs and lines of metal within the Tyre frames (simple geometry).